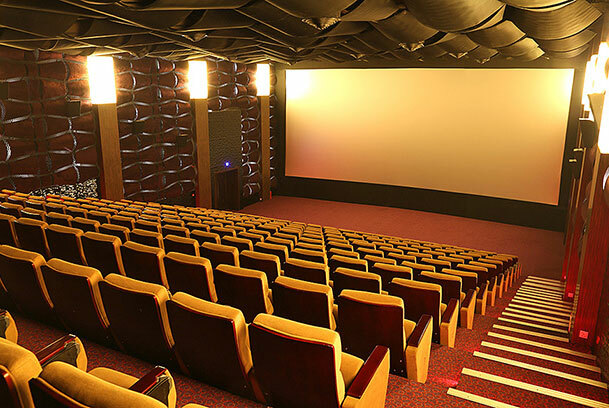 If you are an active cinema goer, we are going to give you a new destination to experience the thrill, a place to hangout with your friends and family for pure entertainment. 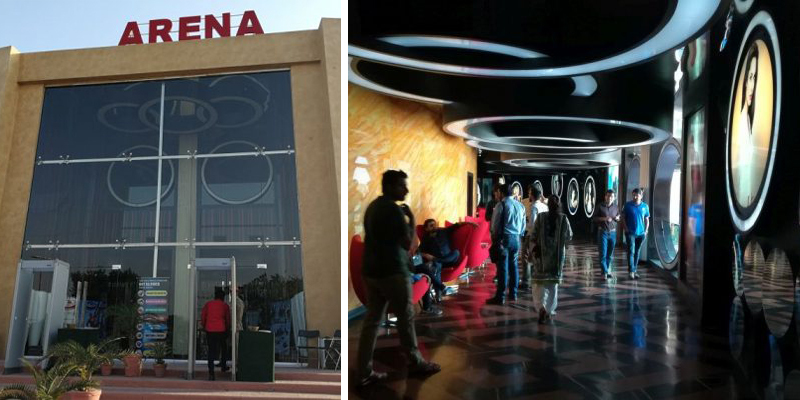 We are talking about Lahore's one of the finest cinema, The Arena Cinema. 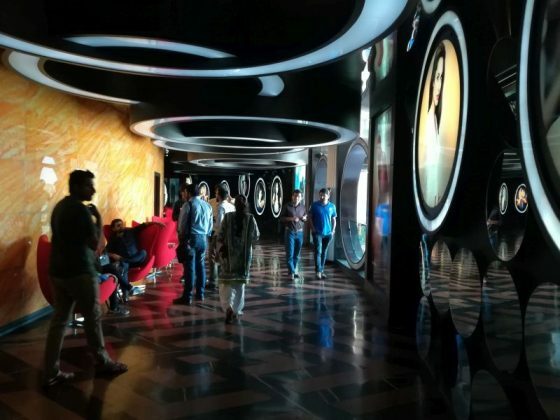 Bahria Town's this flagship cinema is located at 20 min drive from Thokar Niaz Baig, Lahore on Raiwind Road to be specific. 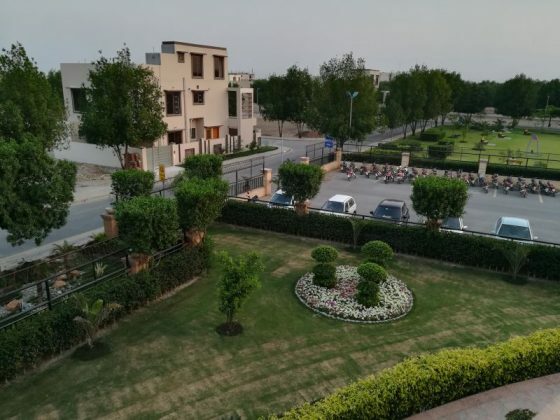 Being in Bahria Town Orchard, The Arena is surrounded by very peaceful and eye catching views. Having the right amount of parking space, The Arena won't put you in hot waters even in rush hours and you can easily park your vehicle without hustles. No valets, which is sort of acceptable as we don't see valet parking culture at most of places around the city. After getting positive vibes about this place from multiple authentic sources, our team decided to have a hand on experience and we reached The Arena's 9PM show. We intentionally decided to watch India's much hyped movie Baahubali 2 the conclusion as it had showcased wonderful graphics in the trailer, and it was a good choice to see The Arena's screen capabilities to display the depth of pixels and VFX. Since the cinema is located within society, it isn’t difficult to find the place even if you are visiting for the first time. You can simply ask anyone around without hesitation, or even better you turn on Google Maps for your convenience. Parking is just beside the cinema’s facility and doesn’t take more than 30 seconds to reach the entrance after you park. Entrance is fancy like any other cinema. You would be checked for security purpose, will walk through a couple of security gates and that’s it. You would be now in the lobby. Once you enter within The Arena, the ambiance will do its thing. Infrastructure is good enough to convince you that you made the right choice and you are finally at a worthy place. Just get some popcorn, buy your ticket if you haven’t already and head towards the screen. You can take stairs or you can use the elevator to reach the screening area. You would be served with courteous staff everywhere within premise, so you don’t need to get nervous about anything if you need to ask. Having sitting capacity of 247 people, the digital screen of The Arena does the magic and serves the purpose. Spectacular interiors, ultra screening clarity, deep pixel display, and wonderful sound systems makes it worth your time. 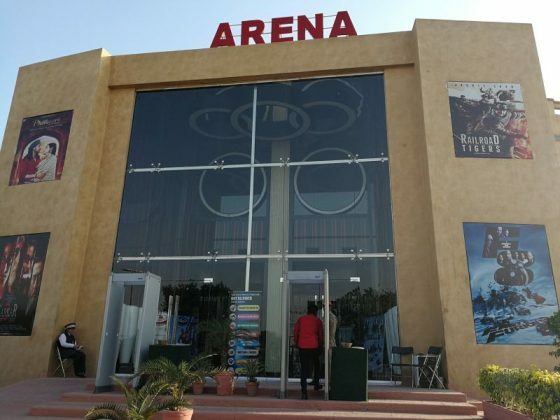 It doesn’t matter which movie you chose to watch, you won’t get disappointed by the extravaganza of The Arena, and rather it would add the value to your overall experience. Concluding our remarks, we would recommend you to just plan your next checkin with friends to The Arena. It is highly recommended to bring your family too as it offers the right experience for families as well as friends.